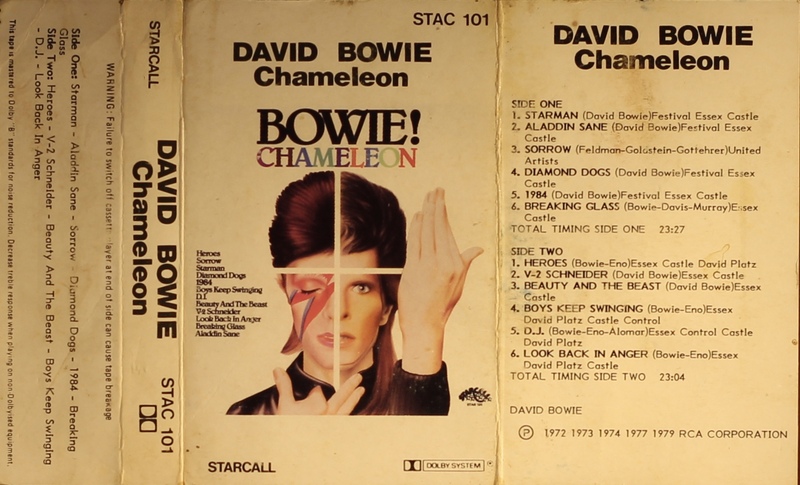 Chameleon: Australia; Starcall, STAC 101; 1979. White top third of cover with the track list on cover photo; white spine, rear and inner panels. The cover is thick, treated and folded card and the rear is blank. 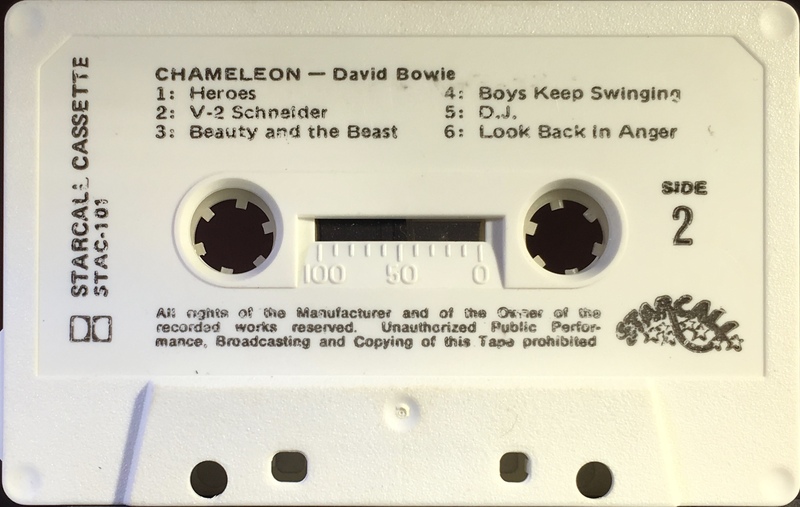 Track list on rear and inner panels. Made In Australia on rear panel. Black ink printed directly onto a white shell. 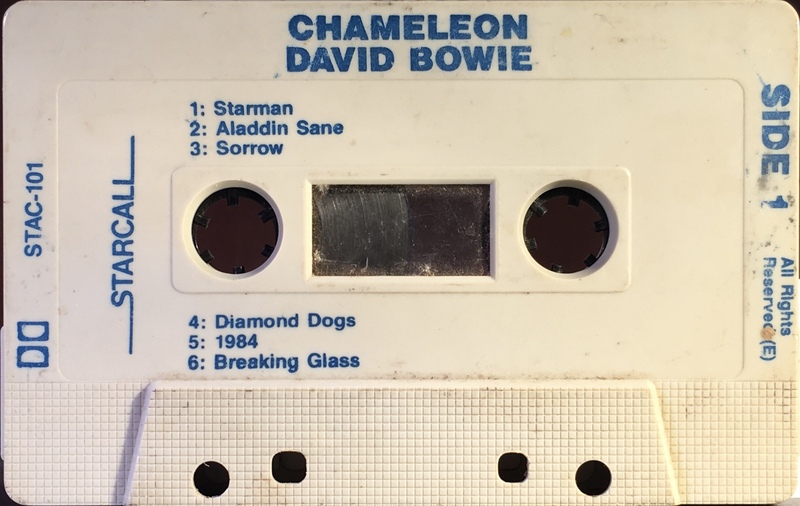 Side 1: Starman; Aladdin Sane; Sorrow; Diamond Dogs; 1984; Breaking Glass. 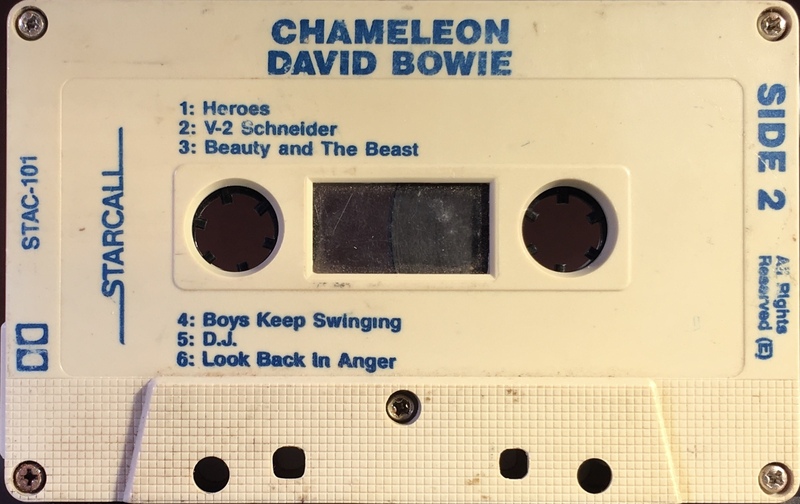 Side 2: Heroes; V-2 Schneider; Beauty And The Beast; Boys Keep Swinging; D.J. ; Look Back In Anger. 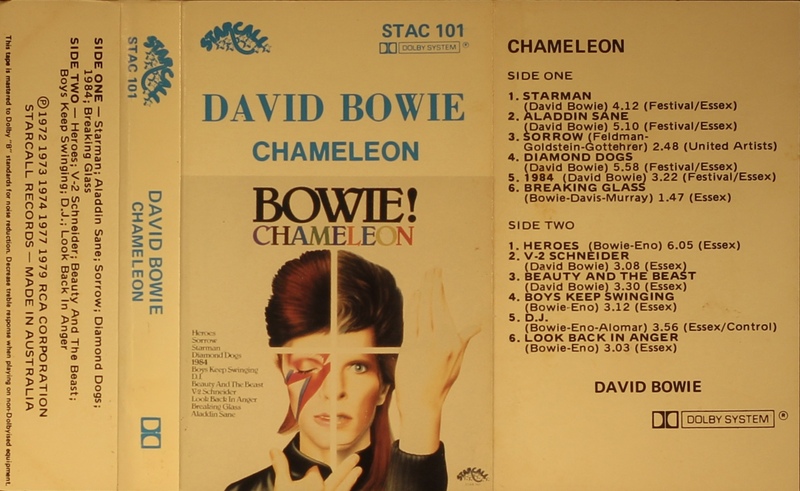 Chameleon: Australia; Starcall, STAC 101; no date, circa 1983. White top third of cover with the track list on cover photo; white spine, rear and inner panels. The cover is thick, treated and folded thick card and the rear is blank. Track list on rear and inner panels. 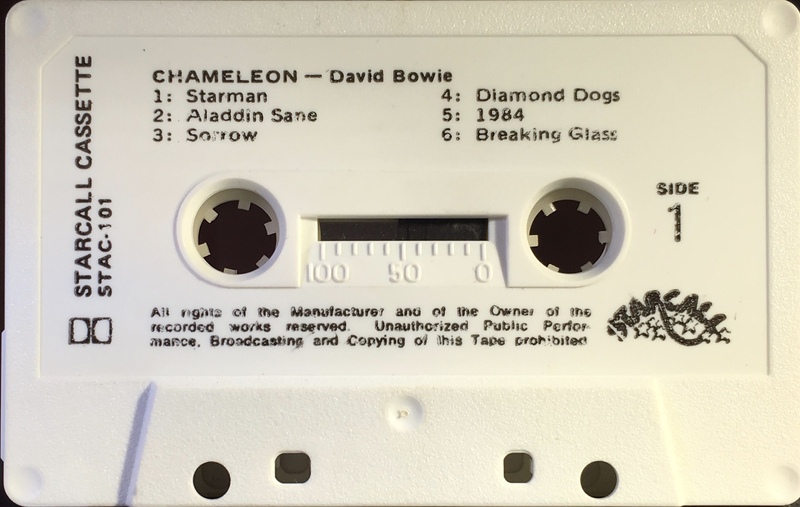 Absence of ‘Made In Australia’ normally indicates it is a New Zealand release, however this is an Australian shell and the music credits on the inner cover make this Australian..
Blue ink printed directly onto a grey shell with information printed around the outer edges of the shell.